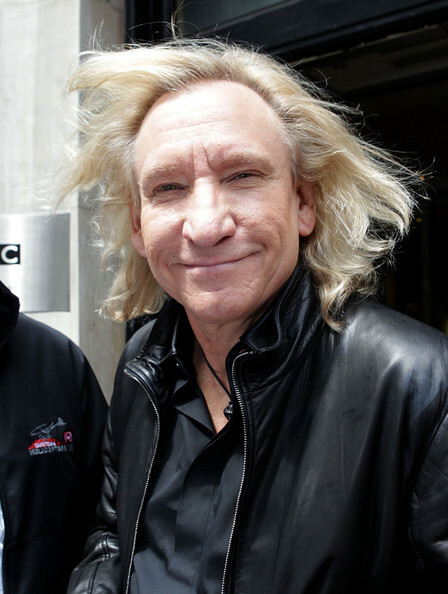 Joseph Fidler Walsh, simply known as Joe Walsh, was born on 20 November 1947, in Wichita, Kansas USA, of Sottish and German descent from his mother. He is a musician and record producer, perhaps most famous as being one of the members of legendary group “The Eagles”, but also for playing with “Barnstorm”, “The Party Boys”, “The James Gang” and others. Joe is also famous for his solo activities and his numerous talents. During his career Walsh has won five Grammy Awards and has also been inducted into the “Vocal Group Hall of Fame” and “Rock and Roll Hall of Fame”. Despite the fact that Joe is now 67 years old, he is still actively involved in the music industry, and has appeared in several recent television shows. So how rich is Joe Walsh? It is estimated that Joe’s net worth is $65 million, with the main source of his wealth being Joe’s successful career as a solo artist and also his activities in popular bands. In addition to this, Joe is a man of many talents and he has only proved this by involving himself in various other activities, which have also added to his net worth. Joe studied at Montclair High School, and became a part of school’s band as he was interested in music from a very young age. Later Joe continued his studies at Kent State University, and also played for various bands there. As he spent more and more time involved in music, Joe decided to leave university and focus more on his career as a musician. In 1968 Joe became a part of the band called “The James Gang” and a year later they released the album entitled “Yer’ Album”, which gained quite a lot of attention and added a lot to Joe Walsh’s net worth. Despite the success the band achieved, Joe decided to leave in 1971, and in the same year he created another band, called “Barnstorm”. Sadly, activities of this band did not last long and in 1973 they disbanded. In 1975 joined the iconic band called “The Eagles”, and this decision had a huge impact on the growth of Joe’s net worth. In 1976 “The Eagles” released the album entitled “Hotel California”, which gained a lot of critical acclaim, and became one of the most popular albums of all time. Later Joe released four more albums with “The Eagles”: “The Long Run”, “Hell Freezes Over”, “Eagles Live” and” Long Road Out of Eden”. All these albums added a lot to Walsh’s net worth. As mentioned, Joe is also known for his solo activities, and during his career has released 12 solo albums. Some of them include, “The Smoker You Drink, the Player You get”, “There Goes the Neighborhood”, “Analog Man”, “Got Any Gum?”, “Ordinary Average Guy” among others. All these albums increased Joe’s net worth, and in addition Joe has worked with various artists by writing songs and helping to produce albums for them. Some of these artists include Wilson Phillips, Steve Winwood, Jay Ferguson, Andy Gibb and others. What is more, Walsh has appeared in such movies and television shows as “MADtv”, “RoboCop”, “Duckman”, “Live from Daryl’s House” and others. These appearances also added to Joe’s net worth. If to talk about Joe Walsh’s personal life, it can be said that he has married five times; his first marriage was in the 1960s, and his wife now is Marjorie Back, who he married in 2008. Joe has three children from different marriages. Joe has admitted that he was addicted to alcohol and drugs during his early years in the music industry, fortunately he was able to overcome his addictions and achieve a lot in his career. Walsh has more recently been involved in various charity activities and supported different campaigns. All in all, Joe Walsh is a remarkable personality, who has great talent and has achieved a lot in his life. Despite all ups and downs, now Joe is one of the most famous and acclaimed of musicians. 1 You know, Mozart and Beethoven never got royalty checks. 3 Went to Montclair High School, Montclair, NJ. 4 Brother-in-law of Ringo Starr and Barbara Bach. 5 September 2008, he announced on the Steve Dahl radio show that he is engaged to Ringo Starr's sister-in-law, Marjorie Bach. 6 One daughter, Lucy Walsh, was born in 1981. She is a musician/singer like her father. 7 The "Reunited James Gang" Walsh toured with in 2006 was, despite what was advertised, NOT the original line-up. It was actually the Rides Again/Thirds line-up. "Classic" line-up would have been a better choice of words. 8 Along with most of the other former Eagles, he made a contribution to the Fast Times at Ridgemont High (1982) soundtrack. 9 Released his first solo album, Barnstorm, in 1972. This album featured his first big solo hit, Turn to Stone. 10 Licensed amateur (ham) radio operator with call sign WB6ACU. 11 (April 8, 2005) Made his long-awaited return to the Howard Stern Show studio nearly 15 years after his last appearance. Aside from a brief conversation over the phone in 1993, Walsh had avoided the show while trying to clean up his life, which had been filled with drug and alcohol abuse. He is now married and the father of two sons, ages 9 and 6. 12 Raised in Wichita, Kansas, and attended high school there. However, he attended Kent State University but dropped out. Says he hopes to "finish up at Kent State someday." 13 Inducted into the Rock and Roll Hall of Fame in 1998 (as a member of Eagles). 14 Guitarist with The James Gang, Eagles and The Party Boys. 15 Had hit singles in the Seventies with "Rocky Mountain Way" and "Life's Been Good". 31 2016 writer: "Walk Away"
Black Mass 2015 performer: "Turn to Stone" / writer: "Turn to Stone"
The Night That Changed America: A Grammy Salute to the Beatles 2014 TV Special performer: "Something", "While My Guitar Gently Weeps"
History of the Eagles 2013 TV Mini-Series documentary writer: "Life in the Fast Lane", "Pretty Maids all in a Row"
The 54th Annual Grammy Awards 2012 TV Special performer: "My Valentine"
Grown Ups 2010 performer: "A Life of Illusion" / writer: "A Life of Illusion"
Grand Theft Auto IV: The Ballad of Gay Tony 2009 Video Game writer: "Funk #49"
Grand Theft Auto IV: The Lost and Damned 2009 Video Game writer: "Funk #49"
Grand Theft Auto IV 2008 Video Game performer: "Rocky Mountain Way" / writer: "Rocky Mountain Way"
Hot Tub: The Urban Legend 2007 Short writer: "Life in the Fast Lane"
Gracie 2007 writer: "Funk #49"
The Groomsmen 2006 performer: "Life's Been Good" / writer: "Life's Been Good"
Who Killed the Electric Car? 2006 Documentary performer: "Life's Been Good" / writer: "Life's Been Good"
The Dukes of Hazzard 2005 writer: "Funk #49"
The Devil's Rejects 2005 performer: "Rocky Mountain Way" / writer: "Funk No. 49", "Rocky Mountain Way"
Eagles: The Farewell 1 Tour - Live from Melbourne 2005 Video performer: "In the City", "Walk Away", "Life's Been Good" / writer: "One Day at a Time", "In the City", "Walk Away", "Life's Been Good", "Funk #49", "Life in the Fast Lane"
Lords of Dogtown 2005 performer: "Turn to Stone" / writer: "Turn to Stone"
House of D 2004 writer: "Funk # 49"
The Girl Next Door 2004 writer: "FUNK #49"
The Emperor's Club 2002 writer: "Funk 49"
The Salton Sea 2002 writer: "Funk 49"
Big Fat Liar 2002 writer: "Right Here Right Now"
Out Cold 2001 writer: "Funk #49"
Spy Game 2001 performer: "Rocky Mountain Way" / writer: "Rocky Mountain Way"
Jay and Silent Bob Strike Back 2001 performer: "Life's Been Good" / writer: "Life's Been Good"
Joe Dirt 2001 performer: "Rocky Mountain Way" / writer: "Rocky Mountain Way", "Funk #49"
Driven 2001 writer: "Right Here Right Now"
Dogtown and Z-Boys 2001 Documentary performer: "Rocky Mountain Way" / writer: "Funk 49", "Rocky Mountain Way"
There's Only One Jimmy Grimble 2000 writer: "Right Here Right Now"
The Skulls 2000 writer: "Right Here, Right Now"
Savage Honeymoon 2000 performer: "Rocky Mountain Way" / writer: "Rocky Mountain Way"
Detroit Rock City 1999 writer: "Funk No. 49"
Pirates of Silicon Valley 1999 TV Movie writer: "Collage"
The Mod Squad 1999 writer: "Collage"
The Waterboy 1998 performer: "New Year's Eve" / writer: "New Year's Eve"
Without Limits 1998 performer: "County Fair" / writer: "County Fair"
Can't Hardly Wait 1998 writer: "Funk #49"
Eagles: Hell Freezes Over 1994 TV Special documentary writer: "Help Me Through the Night", "Pretty Maids All in a Row", "Life in the Fast Lane", "In the City"
RoboCop 1994 TV Series performer: "Future to This Life", "Fire and Brimstone"
The Beverly Hillbillies 1993 performer: "HONEY DON'T", "ROCKY MOUNTAIN WAY" / producer: "HONEY DON'T" / writer: "ROCKY MOUNTAIN WAY"
Queens Logic 1991 courtesy: "Fooled Around and Fell In Love" / performer: "Fooled Around and Fell In Love"
She's Out of Control 1989 writer: "Rocky Mountain Way"
The Great Outdoors 1988 performer: "Big Country" / producer: "Big Country"
In the King of Prussia 1983 performer: "Crow on the Cradle"
Fast Times at Ridgemont High 1982 performer: "Waffle Stomp" / writer: "Waffle Stomp", "Life In The Fast Lane"
Urban Cowboy 1980 performer: "All Night Long" / writer: "All Night Long"
The Warriors 1979 performer: "In The City" / writer: "In The City"
FM 1978 performer: "Life's Been Good" / writer: "Life In The Fast Lane", "Life's Been Good"
The Frank Rosenthal Show 1977 TV Series writer: "Life in the Fast Lane"
Zachariah 1971 writer: "Country Fever", "Laguna Salada"
Promised Land 1996 TV Series R.J.